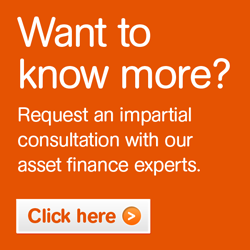 Find asset finance solutions for your business from a provider with a difference. Maxxia is a top UK asset finance provider offering enterprise-wide asset finance and leasing solutions to the public and private sector in the UK. Our team has significant expertise in all forms of asset funding, including vehicle leasing and fleet management, IT asset leasing and lifecycle management, as well as financing options for all types of business equipment and machinery. With a focus on transparency and collaboration with customers, we create leasing and asset finance solutions that meet the individual objectives of an organisation. Here at Maxxia we pride ourselves on offering a personal approach to help businesses grow across the UK. If your business requires equipment, general asset finance and leasing will give you access to the capital necessary to invest, helping you expand upon invaluable resources to aid your business in the long run. Maxxia’s asset finance and leasing solutions will provide you with a cash flow friendly way of acquiring equipment to move your business forward. Financing equipment for your business doesn’t have to be stressful – you can rely on our experts to support you as your business grows. Maxxia UK offers a credible alternative for your general asset finance needs. We can provide asset finance on a huge array of equipment across a huge array of sectors. View case studies showing how organisations have put asset finance solutions to good use. If your business requires investment in particular technology, equipment, or vehicles, asset finance solutions may be the best option for you. Spreading the cost of this expenditure with asset financing will have less of an impact on capital whilst still allowing you to acquire the tools that you need for your business to succeed. Maxxia’s asset finance services will give you the opportunity to spread costs and maintain cash flows. Asset finance leasing options are also available from Maxxia, an ideal option for business owners who need to invest in vehicles or IT equipment for example, but not necessarily for its entire working life. While the equipment is needed you can make full use of it and when it is no longer needed, you won’t have to worry about dealing with the re-sale or any required maintenance. Instead you can simply decide if you want to extend the lease or return the asset. Our asset finance solutions are purpose built so that you can invest in new assets that drive your business forward, whilst protecting your cash flow. Our customer focussed asset finance solutions can give you the opportunity to improve your business with up-to-date equipment, without having to tie up lots of capital. We can give your business access to vital asset finance solutions without you having to worry about purchasing the equipment outright and affecting cashflow. Maxxia is a joint venture with Australia’s McMillan Shakespeare Limited. We have dealt with many funders and brokers over the years. Tony understood both our business and our requirements, he liaised with our suppliers to ensure the solution was successfully delivered and the process was open and transparent throughout. Above all, a fair and competitive rate was provided. We have been extremely impressed with the speed of response from the team at Maxxia and the efficiency with which the credit line was established. The first batch of vehicles has already been delivered and we are planning for a second phase later this year. From the very first meeting I felt completely at ease with Simon, the way he explains the pros and cons of every deal makes it easy to understand and adds great value to offers made to customers of Daktronics. We work with Maxxia because they operate in a transparent and honest way, ensuring that we never run into any unpleasant surprises. The fact we have returned to them time after time is testimony to their sheer professionalism and their business ethics. I wouldn’t hesitate to recommend them to anyone. Over the years we have developed an extremely close working relationship with Simon. His experience and knowledge of the asset finance industry is second to none and always delivers our funding requirements in an efficient, professional manner. Fast, efficient and completely transparent, say no more! I can’t speak highly enough of the comprehensive service we received. From the very first meeting, Simon and his team displayed an in-depth knowledge and level of professionalism that many other companies could learn from.